river, he and his father would sing songs together - not just Peter's militant compositions, but also pop classics by the likes of Stevie Wonder, Ray Charles and Kenny Rogers. Andrew notes that "Peter always knew I would do something in the music business, so he encouraged me to study piano, 'because he knew I loved it. From the start it was inside me to sing and play instruments." The first song he learned was Peter's composition "You Can't Blame the Youth," and from that point forward, he says, "I knew that my heartbeat was music and one day it would just be music out of my mouth, and writing and singing my own songs." 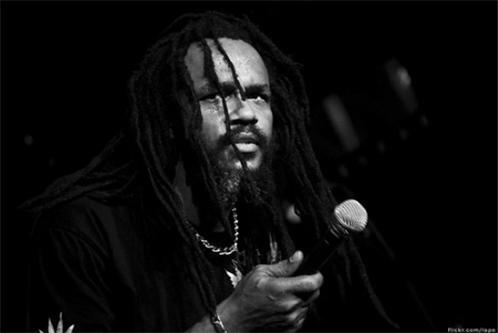 was often on the road, performing tours that remain to this day reggae's most lengthy and successful ones, Andrew spent much of his childhood living in Peter's house, especially between the critical ages of 12 and 15.
is crying out for peace but none is crying out for justice. When I came down off the stage, I couldn't stop crying." Marley and Peter Tosh. Was he nervous? "I felt elevension," he laughs, engaging in some of the crafty wordplay for which his father was notorious. "It was way beyond tension." Santa Davis, the bass and drum team from Peter's most ferocious backing group, Word Sound and Power. Andrew began to tour, wowing audiences in Europe as well as North and South America. He has been especially successful in Brazil, where he has appeared several times in Sao Paulo, Rio, and Curitiba. His first album, Original Man, was a mixture of his tracks and those of his father. The follow-up, Make Place for the Youth, indicated a new maturity to his song-writing, and was well received, earning him a Grammy nomination. Currently, he has produced a major tribute to his father, (executive-produced by Dawn Simpson), called Legacy An Acoustic Tribute To Peter Tosh featuring Bunny Wailer and Kymani Marley will be released September 28th, 2010. 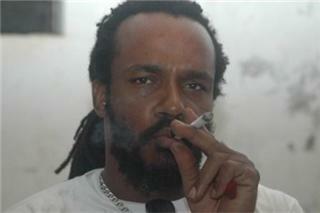 His original album 'I to I is schedule to be release February 2011.